Back in October of 2015, many noted the date October 21, 2015 because it was featured in the 1989 film Back to the Future Part II. It was on October 21, 2015 that Doc Brown, Marty McFly, and Marty’s girlfriend, Jennifer, arrive to help Marty and Jennifer’s children. The 2015 world depicted in the film featured hover boards, flying cars, and power lace Nike shoes, which many hoped would be a reality when 2015 rolled around. This box-office hit and now classic comedy stars Michael J. Fox, Christopher Lloyd, Lea Thompson, and Thomas F. Wilson. Recently I discovered an ancestral connection to Christopher Lloyd, who is an American actor best known for not only his role as Dr. Emmett “Doc” Brown in the Back to the Future trilogy, but also for his role as Jim Ignatowski in the television series Taxi. This discovery came when I learned that Lloyd’s mother, Ruth, was a Lapham, and that her family is descended from John Lapham (1635-1710) and his wife, Mary Mann (1640-1712). The following is a chart that shows the decent of both Christopher Lloyd (1938-) and my paternal grandmother, Margaret Ann (Lapham) Kernan (1936-2004), from John Lapham (1635-1710) and Mary Mann (1640-1712). Based on the generations of descent from John Lapham (1635-1710) and his wife Mary Mann (1640-1712) listed above, my paternal grandmother, Margaret Ann (Lapham) Kernan (1936-2004), and Christopher Allen Lloyd (1938-) are 7th cousins. This makes Christopher Lloyd my 7th cousin, 2x removed. 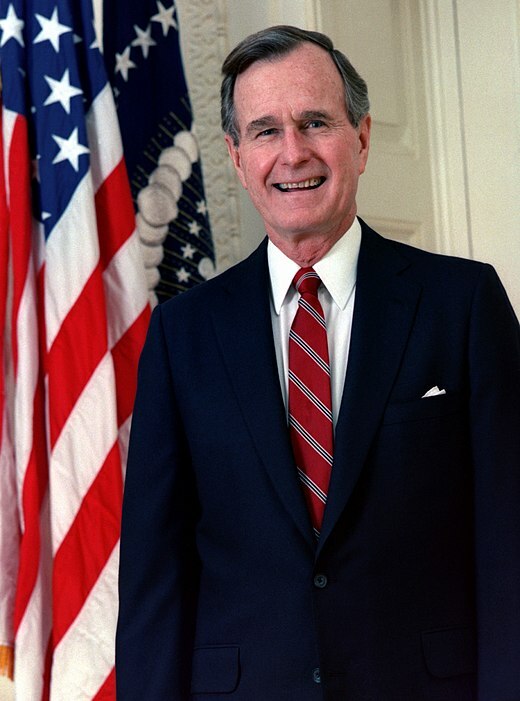 On June 12, 1924, eighty-nine years ago today, George Herbert Walker Bush (1924-), 41st President of the United States, was born in Milton, Norfolk Co., Massachusetts the second son of Prescott Sheldon Bush (1895-1972) and Dorothy Walker (1901-1992). George H.W. Bush served as the 41st President of the United States from 1989 to 1993, following the presidency of Ronald Reagan. Prior to serving as President, George H.W. Bush served as the 43rd Vice President of the United States from 1981 to 1989, Director of Central Intelligence from 1976 to 1977, United States Ambassador to the United Nations from 1971 to 1973, and Congressman in the U.S. House of Representatives from Texas’s 7th District from 1967-1971. During World War II, George H.W. Bush served in the U.S. Navy, earning the Distinguished Flying Cross, three Air Medals, and the Presidential Unit Citation. In 1945, George H.W. Bush married Barbara Pierce (1925-), with whom he had six children, one of which, George W. Bush (1946-), went on to become the 43rd President of the United States. While researching my family history, I discovered that I have an ancestral connection to this former President of the United States. When I began researching the ancestry of my paternal grandmother, Margaret Anne Lapham (1936-2004), I researched a family that married into my Lapham branch, the Arnold family. As I dug deeper into this branch, I found my ancestral connection to George H.W. Bush, which was by my 11th great grandparents, Nicholas Arnold (1550-1622) m. Alice Gully (1553-1596). According to research on President Bush’s genealogy, Nicholas and Alice Arnold were the 9th great grandparents of his paternal grandmother, Flora (Sheldon) Bush (1872-1920). While researching my grandmother’s ancestry, I found that my grandmother’s 5th great grandfather, Nicholas Lapham (1689-1758), was married to Mercy Arnold (1701-1756), who was the great-great granddaughter of Nicholas and Alice Arnold. Based on the generations of descent from Nicholas Arnold (1550-1622) and his wife Alice Gully (1553-1596) listed above, my paternal grandmother, Margaret Ann (Lapham) Kernan (1936-2004), and George H.W. Bush (1924-) are 9th cousins, 2x removed. This makes George H.W. Bush (1924-) my 11th cousin. On February 10, 1957, fifty-six years ago today, American author Laura Ingalls Wilder (1867-1957) died at the age of 90 in Mansfield, Missouri. Wilder was most famous for her series of books, Little House, which were based on her childhood in a pioneer family. 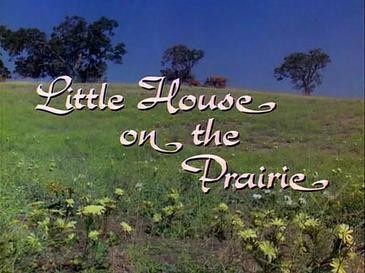 These books were so loved that they were turned into a successful television series, Little House on the Prairie, which ran for nine seasons from 1974 to 1982. While researching my family history, I discovered that I have an ancestral connection to this beloved American author. When I began researching the ancestry of my paternal grandfather, William Kernan (LIVING), I researched a family that married into my Kernan branch, the Dunton family. As I dug deeper into this branch and its related branches, I found my ancestral connection to Laura Ingalls Wilder, which was by my 9th great grandparents, John Locke (ca. 1626-1696) and Elizabeth Berry (ca. 1631-1708). According to research on Wilder’s genealogy, her paternal great grandmother was Martha Jane Locke (1753-1785), who was a great granddaughter of John Locke (ca. 1626-1696) and Elizabeth Berry (ca. 1631-1708). While researching my grandfather’s ancestry, I found that my grandfather’s great grandmother, Harriet Rose Dunton (1836-1927) was a great-great granddaughter of the same John and Elizabeth Locke, through her mother’s Knowles family. Based on the generations of descent from John Locke (ca. 1626-1696) and his wife Elizabeth Berry (ca. 1631-1708) listed above, my paternal grandfather, William Kernan (LIVING), and Laura Ingalls Wilder (1867-1957) are 6th cousins, 1x removed. This makes Laura Ingalls Wilder my 6th cousin, 3x removed. On January 17, 1706, three hundred and seven years ago today, Benjamin Franklin (1706-1790), noted polymath and one of the Founding Fathers of the United States, was born in Boston, Massachusetts. 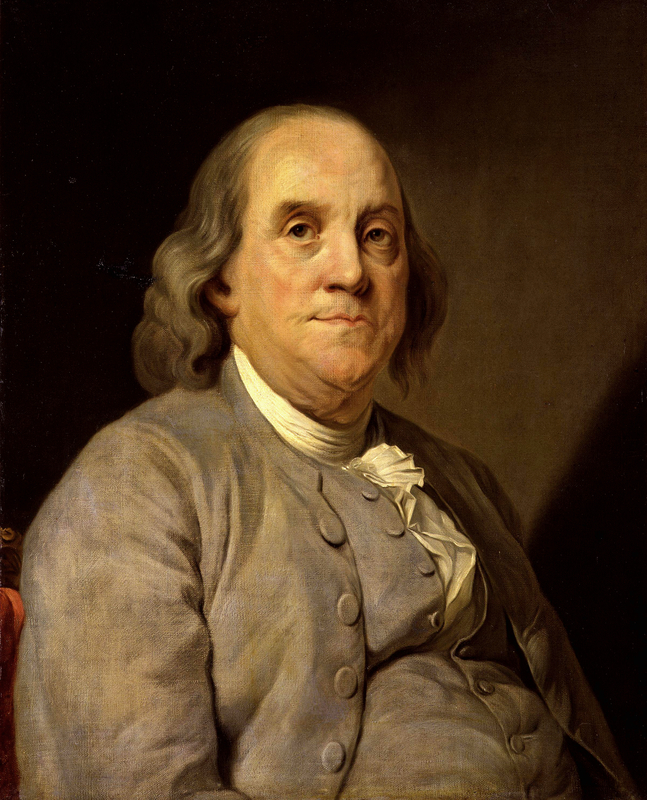 Throughout his life, Benjamin Franklin was an author, printer, political theorist, politician, postmaster, scientist, inventor, and statesman. He was the 6th President of Pennsylvania (1785-1788), United States Minister to France (1778-1785), United States Minister to Sweden (1782-1783), and 1st United States Postmaster General (1775-1776). He is the only Founding Father who signed all four of the major documents of the founding of the United States, which include the Declaration of Independence, the Treaty of Paris, the Treaty of Alliance with France, and the United States Constitution. His early involvement in the call for American independence and unity earned him the title of “The First American.” Additionally, his contributions to science and his inventions, which include the lightning rod, bifocals, the Franklin stove, and a carriage odometer, made him a major figure in the American Enlightenment. While researching my family history, I discovered that I have a probable ancestral connection to this historical figure in American history. When I began researching the ancestry of my paternal grandfather, William Kernan (LIVING), I researched a family that married into my Kernan branch, the Stearns family. As I dug deeper into this branch and its related branches, I found publications that noted a probable connection to Benjamin Franklin through the Lawrence family (an early New England family), which married into my Stearns branch. According to these publications, Benjamin Franklin’s maternal grandfather, Peter Folger (ca. 1617-1690) was the son of John Folger (ca. 1590-1660) and Meribah Gibbs (ca. 1595-1635). These articles state that Meribah Gibbs was most likely the daughter John Gibbs (ca. 1565-1608) and Alice Elmy (ca. 1571-1658). Alice Elmy was the daughter of Richard Elmy (ca. 1548-?) and Margaret Lawrance (1555-1621). This Margaret Lawrance was the daughter of John Lawrence (ca. 1519-1590) and Agnes Holmes (ca. 1523-1583), who were my 13th great grandparents. Based on the generations of descent from John Lawrence (ca. 1519-1590) and his wife Agnes Holmes (ca. 1523-1583) listed above, my paternal grandfather, William Kernan, and Benjamin Franklin are 5th cousins, 7x removed. This makes Benjamin Franklin my 5th cousin, 9x removed. Note: At present, I have not been able to establish myself nor find any source that establishes without a doubt the probable relationship between Meribah Gibbs and her supposed parents, John Gibbs and Alice Elmy. Every instance I have found states that this relationship is “probable,” “likely” or “believed to be.” Thus, this is only a probable connection to Benjamin Franklin. On November 18, 1872, one hundred and forty-two years ago today, Susan Brownell Anthony (1820-1906), suffragist and women’s rights advocate, was arrested in Rochester, New York for having voted in the U.S. Presidential Election. In a trial held soon after, in which some suspicious and unfair conduct was committed by the judge, she was found guilty and fined $100. She vowed in court, “I shall never pay a dollar of your unjust penalty,” a vow she kept as she never paid the fine. Although she was found guilty, this trial allowed her to reach an even larger audience than she had before, as she went on speaking tours drawing large crowds to hear her speeches on the right of women to vote. While researching my family history, I discovered that I have an ancestral connection to this historical figure in American history. When I began researching the ancestry of my paternal grandmother, Margaret Ann (Lapham) Kernan (1936-2004), I came across a publication called The Lapham Leader, a genealogical newsletter focused on the Lapham family in America. An article featuring Susan B. Anthony’s Lapham ancestry was featured in one of this publication’s issues. It was at this time that I became aware that Susan B. Anthony and I share an ancestral connection, which is descent from John Lapham (ca. 1635-1710) and his wife Mary Mann (ca. 1640-1712). Based on the generations of descent from John Lapham (ca. 1635-1710) and his wife Mary Mann (ca. 1640-1712) listed above, my paternal grandmother, Margaret (Lapham) Kernan, and Susan B. Anthony are 4th cousins, 3x removed. This makes Susan B. Anthony my 4th cousin, 5x removed. In a recent comment to one of my posts made by Braman’s Wanderings, I was reminded of a “famous ancestral connection” I have to Pulitzer Prize winning author, James Rufus Agee (1909-1955). I first became aware of the connection after coming into contact with several relatives researching the Agee family. 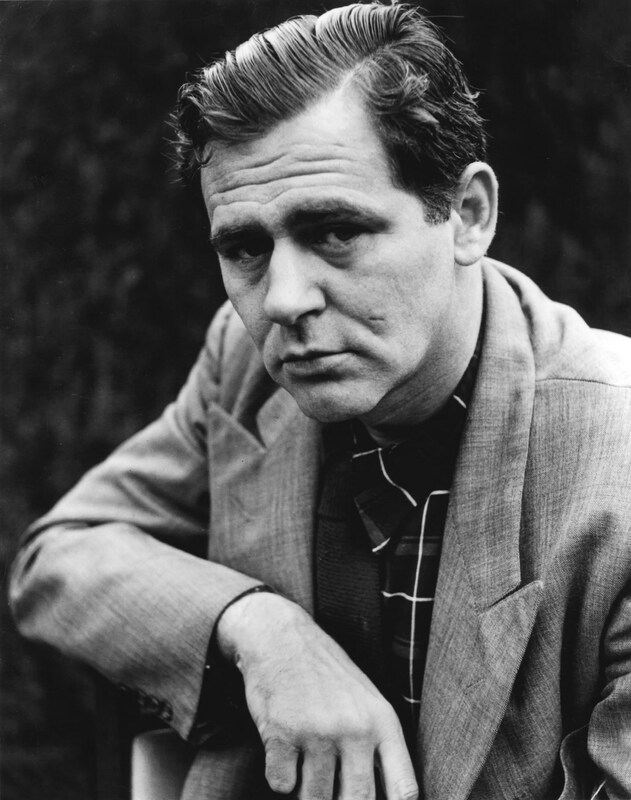 Throughout his career, James Agee was an author, journalist, poet, screenwriter, and film critic. He is recognized as one of the most influential film critics, and some have arguably credited him with establishing film criticism as a genre. As a critic and journalist, he worked for the Times, Fortune, and The Nation. His more notable literary works include Let Us Now Praise Famous Men (1941), which is about the daily lives of poverty-stricken sharecroppers in Alabama; and screenplays The African Queen (1951) and The Night of the Hunter (1955), both staring well-known actors. He is, however, best remembered for his autobiographical novel, A Death in the Family (1957), which was both published and won Agee the Pulitzer Prize (1958) after his death in 1955. My research into the Agee family reveals that my ancestral connection to James Agee comes by way of a branch in my paternal grandmother’s ancestry, stretching back to Anthony Agee (1719-1799), my 8th great grandfather. 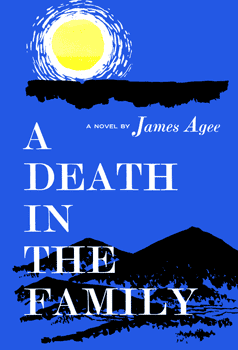 However, both James Agee’s and my grandmother’s descent from Anthony Agee comes by way of two different wives. Anthony was born in 1719 in Manakintowne, Goochland Co., Virginia the son of Mathieu Isaac Agè (ca. 1670-1735), a Huguenot émigré, and Cecelia Ann Gandovin (1691-1761). In 1740, he married Nancy Jane Binion (1723-1750), with whom he had at least five children, one of which was Matthew Agee (1747-1823), my grandmother’s 5th great grandfather. After Nancy’s death, he married Christian Worley (1727-1815) in 1751, with whom he had at least seven children, one of which was Isaac Agee (1752-1845), James Rufus Agee’s 3rd great grandfather. Based on the generations of descent from Anthony Agee listed above, my paternal grandmother, Margaret Lapham, and James Agee are 5th cousins, 2x removed. This makes James Agee my 5th cousin, 4x removed. Genealogy Source: Constance J. Christopherson Barnum’s Agee Lineages: Descendants of Mathieu Agee, the Immigrant, and Related Families (2008). On August 6, 1911, one hundred and one years ago today, Lucille Désirée Ball (1911-1989), the “Queen of Comedy” and actress famous for her role on the hit television show I Love Lucy, was born in Jamestown, Chautauqua Co., New York the daughter of Henry D. Ball (1887-1915) and Desiree Hunt (1892-1977). Although I am not a descendant of a member of the Ball or Hunt families, I did discover while researching a branch of my ancestry that Lucille Ball and I share a common ancestor. When I began researching my Stearns ancestry, which is a branch belonging to my 2nd great grandmother Maudena Elizabeth “Lizzie” (Stearns) Kernan (1885-1936), I discovered that one of Lizzie’s ancestors, and my 7th great grandfather, John Stearns (ca. 1692-1765), was married to a Deliverance Bigelow (1695-1762). Deliverance was the daughter of Samuel Bigelow (1653-1731) and Mary Flagg (1653-1720), my 8th great grandparents. As I began to look into the lives of Samuel and Mary, I discovered that Samuel was born in Watertown, Middlesex Co., Massachusetts, but his parents, John Bigelow (1617-1703) and Mary Warren (1624-1691), were among the early settlers of Watertown, having immigrated in about 1632 from Wrentham, Suffolk, England. As I dug deeper into their lives and the Bigelow family, I discovered research showing that Lucille Ball was also a descendant of Samuel Bigelow and Mary Flagg. Based on the generations of descent from Samuel Bigelow and Mary Flagg listed above, my paternal grandfather, William Kernan (LIVING), and Lucille Ball (1911-1989) are 7th cousins. This makes Lucille Ball my 7th cousin, 2x removed. Discovering this ancestral connection to Lucille Ball was kind of nice because I, like so many, have always enjoyed I Love Lucy, and still enjoy watching it today. On July 16, 1882, one hundred and thirty years ago today, Mary Ann (Todd) Lincoln (1818-1882), widow of U.S. President Abraham Lincoln (1809-1865), died in Springfield, Sangamon Co., Illinois, USA. Although I am not a descendant of Abraham and Mary Lincoln, there is a claim in a branch of my family that there is a connection to Mary (Todd) Lincoln. Sally (Todd) Thornton (1793-1891), my 6th great grandmother, always claimed throughout much of her long life that she and the First Lady were distant cousins. Sharing the surname Todd and having a connection to Kentucky (where Mary was born) undoubtedly was all that was needed to convince Sally of her relationship to the wife of the 16th President of the United States. When I discovered this claim, I set out to learn if it had any truth to it. Sally’s family did come from Kentucky, as did Mary’s, but hers came from Madison County, while Mary’s came from Fayette County, which shares a border with Madison County. Mary’s grandfather, Maj. Gen. Levi Todd (1756-1807), appears to have settled in Kentucky prior to 1792, while Sally’s grandfather, Benjamin Todd (1725-1810), came around 1797. Both Sally’s and Mary’s grandfathers came from Pennsylvania, with Sally’s being from Northampton County and Mary’s being from the nearby Montgomery County. Both of their great grandfathers were also from Pennsylvania as well. However, it is with their 2nd great grandfather’s that the story shifts. Sally’s 2nd great grandfather, Joshua Todd (ca. 1685-1721), was born in Pennsylvania the son of Joseph Todd (1645-1699), who was born in Eling, Hampshire, England. Mary’s 2nd great grandfather, Robert Todd (1697-1780), was born in County Armagh, Ireland and immigrated to Pennsylvania prior to 1725. The ancestral lines prior to their 2nd great grandfathers become difficult to trace and confirm for both Sally and Mary. Both are claimed to either be of English or Scottish ancestry prior this generation. Most argue that Joseph Todd (Sally’s 3rd great grandfather) was the son of a John Todd (1594-1678), also of Eling, whose father, William Todd (1569-1617) was from Scotland. As for Mary, her 2nd great grandfather’s ancestry is said to be either English or Scottish prior to their presence in Ireland, with many claiming that the father of Robert was a James Todd (ca. 1638-1669), who is said to have been born in Scotland and died in Ireland. 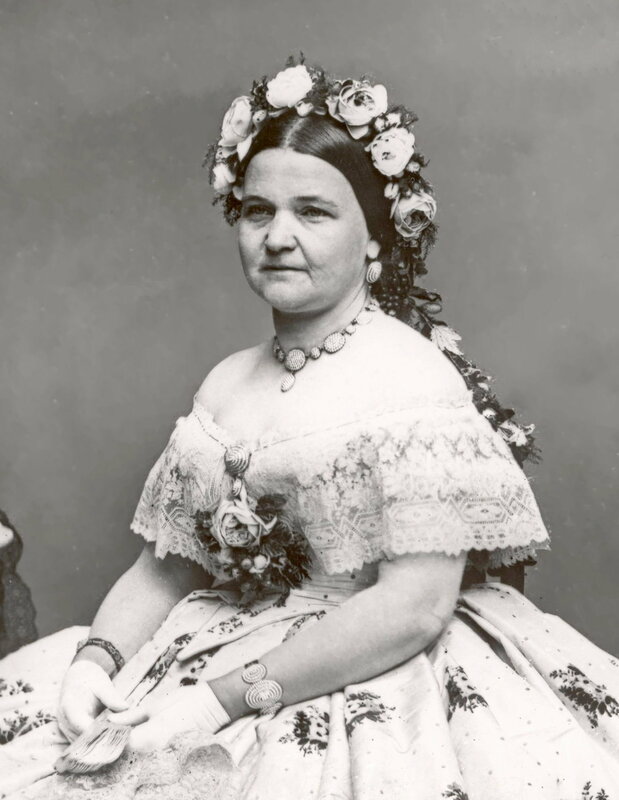 Despite the remarkable similarities in journeys within the United States between their families, I have yet to find any connection or evidence that Sally (Todd) Thornton was indeed a distant cousin of Mary (Todd) Lincoln. Perhaps a connection still exists, but the significant challenges in tracing either line with certainty beyond their respective 2nd great grandfathers makes it unlikely that it will ever be discovered. Although it is very likely that there is little merit to her claim of kinship to one of the most famous First Families in U.S. history, Sally remains for me a fascinating person to look at in my ancestry. It is interesting to note that her long life began in the presidency of George Washington, the 1st President of the United States, and ended, at the age of 98, during the presidency of Benjamin Harrison, the 23rd President of the United States. It must have been amazing to witness all that she did. Sally and her husband, William Thornton (1792-1858), are direct ancestors of my 4th great grandmother, Mary Elizabeth Thornton (1847-1920), who, together with her husband John Agee (1839-1912), are direct ancestors of my 2nd great grandmother, Lois Beatrice Agee (1897-1983), who is the mother of my great grandmother, Alice Lucretia Wellin (1916-1985), who was the wife of Theodore Alexander Lapham (1910-1955).